Chennai is a cosmopolitan town with people belonging to all religions living amicably. The city has a considerable population of Christians too. Christianity began to spread in the southern part of India during 1500s with the advent of Europeans. The Dutch, Portuguese, French came here and built some magnificent churches which are not only places for offering prayers to the Lord but also serve as buildings for study of various types of architecture. 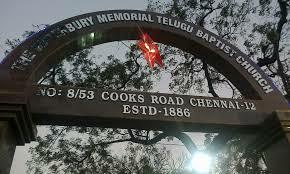 The Waterbury Memorial Telugu Baptist Church at Perambur in Chennai was the first Telugu church in Chennai. It was established in 1886 by an American citizen named Rev Norman Mather Waterbury and will celebrate its 125th anniversary from October 1, 2014! Rev Norman Mather Waterbury arrived in India as a missionary in the year 1881. He came to India with his wife. He was appointed as a missionary by the American Baptist Foreign Mission Society. He worked for the general welfare of the people and penned about 5 books in Telugu language. Waterbury Memorial Telugu Baptist Church is a Telugu Churches, one among many other Telugu churches in Chennai. When Rev Norman Mather Waterbury came to India, he started working with local Telugu speaking population. He worked for their welfare - education, health, hygiene and family welfare. He himself picked up the language in a span of just 5 years! Rev Norman Mather Waterbury died on November 11, 1886. This was also the day which was fixed for dedicating the new church building. His funeral service and the dedication of the new church building were done at the same time. 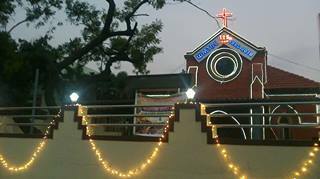 To recall the contribution of Rev Norman Mather Waterbury for the local populace and Telugu speaking people, the authorities have resolved to celebrate the 125th Anniversary of the church starting from October 1 to October 3, 2014. Sir, I am looking for a Pastoral Ministry at Telugu church in Chennai. kindly pray for me. if oppertunity is there let me know so that i can send my profile.